It may be getting colder as the calendar flips to December, but the 2016-17 NBA season is just heating up. There will be no shortage of marquee games across the league this month, including the defending champion Cleveland Cavaliers hitting New York City, Tim Duncan's Jersey Retirement Ceremony in San Antonio and a slew of Christmas games. Each will serve as a top NBA game in December, with tickets to all games averaging over $500 on the secondary market. Want to see the defending champs when they invade the Garden next week? Expect to pay a pretty penny if so. The Knicks will play host to the Cavaliers on December 7 in what will be the most expensive NBA game this month. As it stands now the average resale price for Knicks vs. Cavaliers tickets is $699. If looking just to get in the cheapest tickets are listed from $188. It will be the first of two trips the Cavs make to MSG this season. The Spurs will honor one of their greats later this month when they retire Tim Duncan's jersey at AT&T Center. Welcoming the New Orleans Pelicans on December 18, the Spurs won't only host their most expensive game of the season, but it will also be their second priciest game this decade. With the Spurs hanging Duncan's jersey in a post-game ceremony, Spurs tickets against the Pelicans currently own a secondary market average of $640. The cheapest tickets are now priced from $231 each. 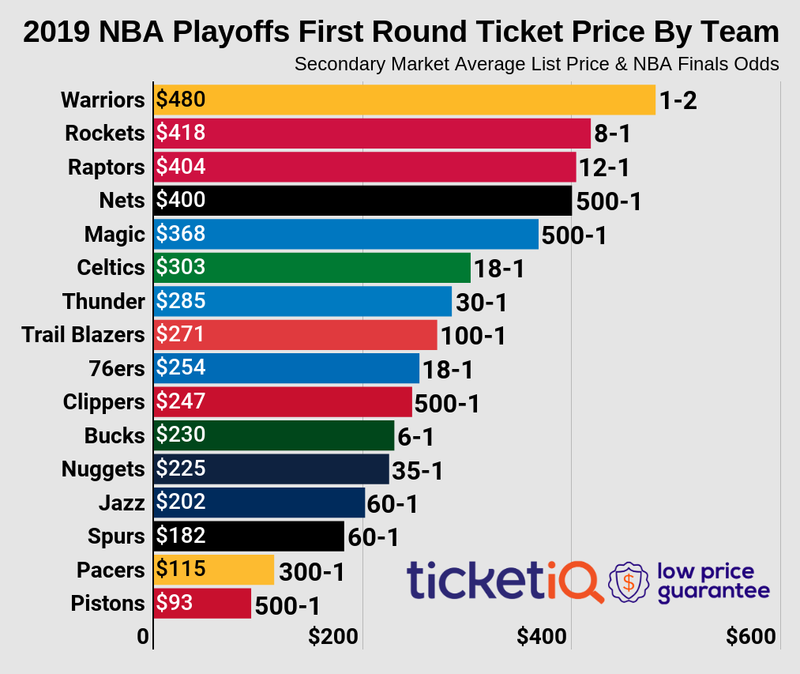 The Golden State Warriors are looking like the superteam they were projected to be this season, and they're commanding huge resale prices both at home and on the road. That will be in effect when they visit the Brooklyn Nets on December 22. Nets vs. Warriors tickets at Barclays Center have a resale average of $570 and the get-in price starts from $146. Two Yuletide games round out the top NBA games in December. The Knicks and Celtics have combined for a six-year absence on Christmas, and it comes as no surprise that this year's matchup is dictating big resale ticket demand. Knicks vs. Celtics tickets on Christmas own an average price of $566 and the get-in price is currently $177. Out west, the Los Angeles Lakers and Clippers will battle at Staples Center on Christmas, marking the fifth priciest NBA game this month. Both teams are long-term fixtures in the holiday game (the Lakers will play in their 18th straight Christmas game while the Clippers play in their sixth), Lakers vs. Clippers tickets on Christmas are averaging $502 and the cheapest tickets start from $120 each.